Suicide Squad Reviews - What Did You Think?! Warner Bros. Pictures‘ Suicide Squad is now playing in theaters and we’ve created this spot for you to tell us and your fellow moviegoers what you thought about the David Ayer-directed comic book adaptation, starring Will Smith (Ali, The Pursuit of Happyness), Margot Robbie (The Wolf of Wall Street, Focus), Joel Kinnaman (Netflix’s “House of Cards”), Viola Davis (The Help, Doubt), Jai Courtney (Insurgent), Jay Hernandez (Takers), Adewale Akinnuoye-Agbaje (Thor: The Dark World), Ike Barinholtz (Neighbors), Scott Eastwood (Fury), Cara Delevingne (Paper Towns), Adam Beach (Cowboys & Aliens), and Karen Fukuhara in her feature film debut. You can read our two Suicide Squad reviews by clicking here and here. Let us know what you thought by posting your Suicide Squad reviews in the comments below! Written and directed by David Ayer and based on the characters from DC Comics, the film was produced by Charles Roven and Richard Suckle, with Zack Snyder, Deborah Snyder, Colin Wilson and Geoff Johns serving as executive producers. 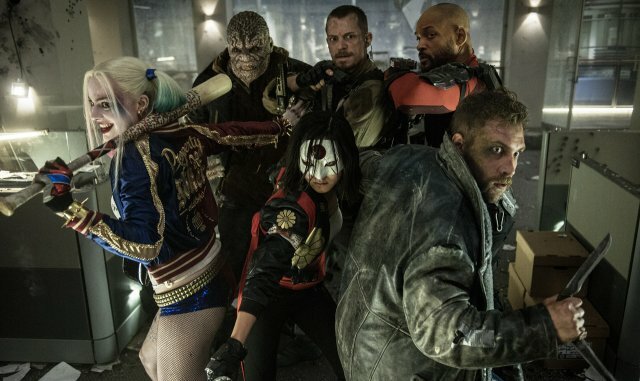 Tags: Reviews, Suicide Squad, What Did You Think? !